My problem is using rendering in MAYA. 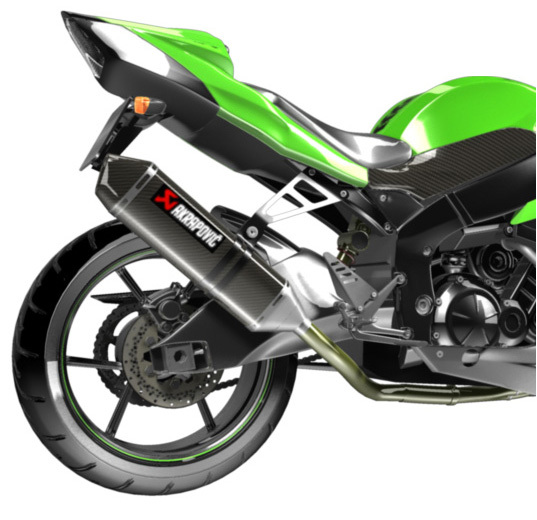 I render a Kawasaki but the result is bad. I want the best result like the pic. Please help URGENT!!!!!!!! Hi, quangalpha. 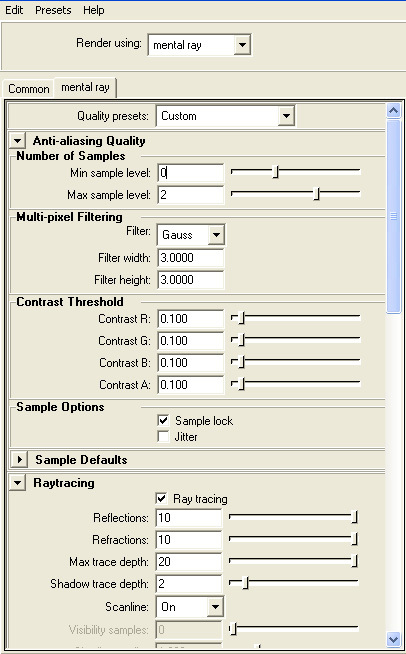 You have to post your rendered image and some information about your rendering settings. Only then I will be able to help you. 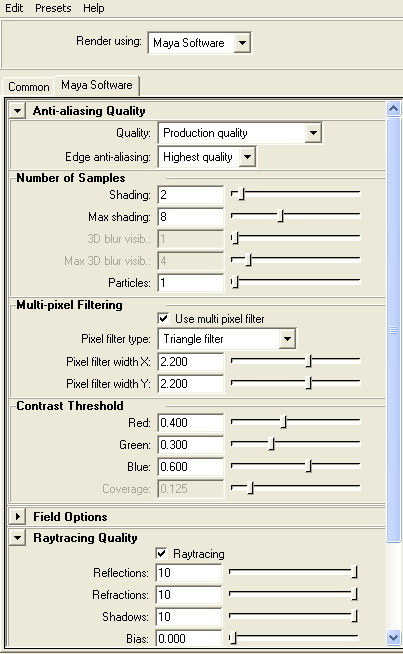 Those are my rendered image and some rendering settings. Thanks a lot! And another rendering, this scence I use 3 spot lights with the same setting. Previous scence I use 3 spot light too. First try to remove caustics in your mental ray render setup and turn on the final gathering. Also turn off 2 of the 3 spot lights and see what you get. That's for global illumination with mental ray. Do you know how to render with HDRI illumination? You can try it - almost guaranteed good results. Here is a tutorial on how to render with hdri and mental ray in MAYA. Now if you want to set up the lights manually using Maya Software render here is what you should do. Choose only one light that will be main light. The other 2 lights should be 3-4 times weaker then the main light... I suggest you diminish the intensity of the other 2 spot lights in your scene instead of making the main light stronger. You can also give them a slightly different color, use either blue or red tones. To set up the lights properly first hide or disable the help or environment lights and render the scene only with the main light on. Adjust it until you get a good contrasting image with the shadow and illumination the way you want. 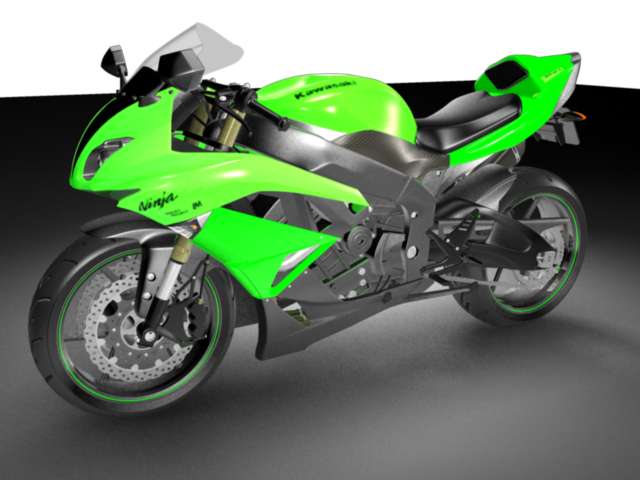 Work on the shaders so that they look the way you want, adjust highlights and reflectivity. Set up the shadows so that they don't miss the small objects like in your render it is better to use an area shadow for more realistic results. In the reference pic the main lights is almost above the bike. You can also create a white rectangle in the place where you main light is and add to it a self illuminated shader - this way it will reflect in your bike as if a real light would reflect. 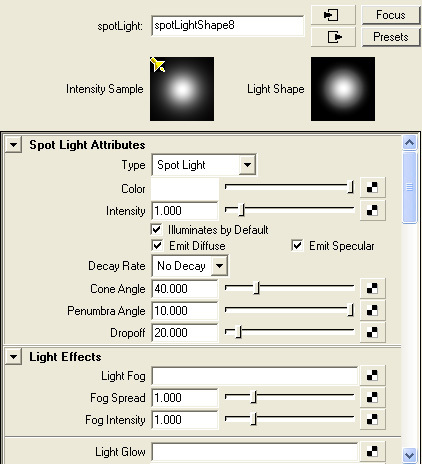 You can also use a decay rate in the spot lights so that it behaves like a real life light, but you will have to make it stronger if you use it... After you finish with the main light turn on one of the additional lights and position it so that it fills the darkest areas in your render, but those areas should remain darker than the main illuminated part. We use the additional lights only to show more details in the shadow areas... This way we simulate the secondary illumination. Regarding the reflection in your materials/shaders. You should either use an environment map or create some modelled environment that will be visible in reflections. You should also learn about ambient occlusion to add it to your render for even more realism. Why your background is white? Here is a good advice... take a simple sphere and experiment with rendering it until you get good results. The sphere will render much faster and you will be able to learn all the rendering options much faster. You can even open the Maya manual and start to learn step by step every rendering option - experiment to see what it means and how it influences the rendering of your sphere. Experiment with ALL lights and material settings so that you exactly understand what is what. This way in about 3 hours you will know more about rendering in Maya than you learned till now. After you understand how everything works try applying the technique I explained in my previous post. When you get exactly what you want with the sphere you can place your motorcycle in it's place. 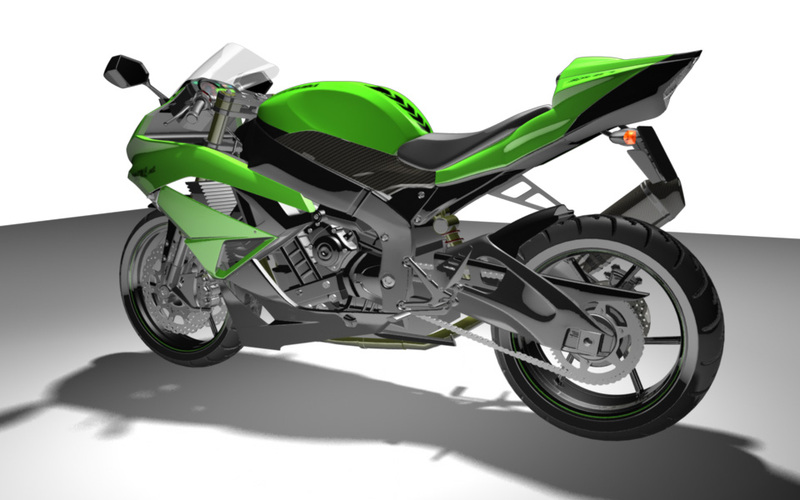 Area shadows and area lights - just switching your shadows to area shadows will make your bike look better. See this. Could you tell me how many percent completed? 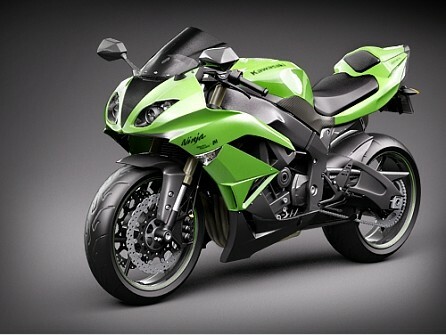 There are no shadows and the green part of the bike is too bright looking unrealistic. Make the colors of all the materials a bit darker so that the reflections are more visible. 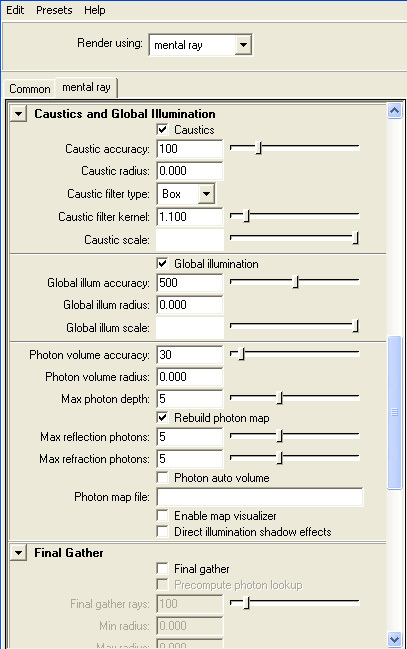 @khuram_ktls: sorry, but caustics are only for transparent/fluid objects like water or glass. I cannot see why it would make any difference using caustics it in this render, except enhancing rendertime. 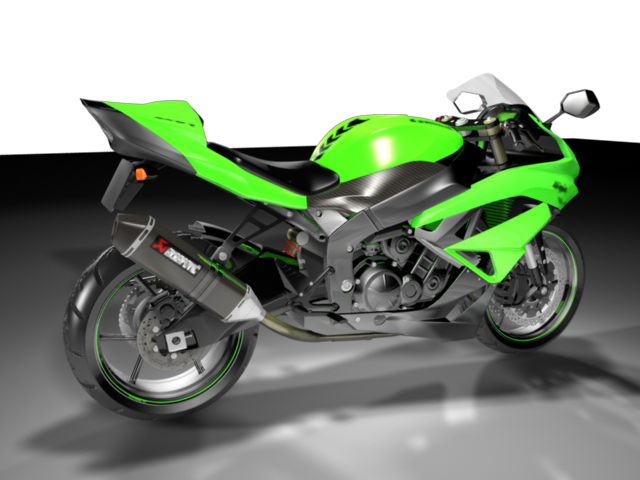 @quangalpha: you should start again learning the principles of FG, GI, Area-lights, HDRI and AO. Just as Andyba said.